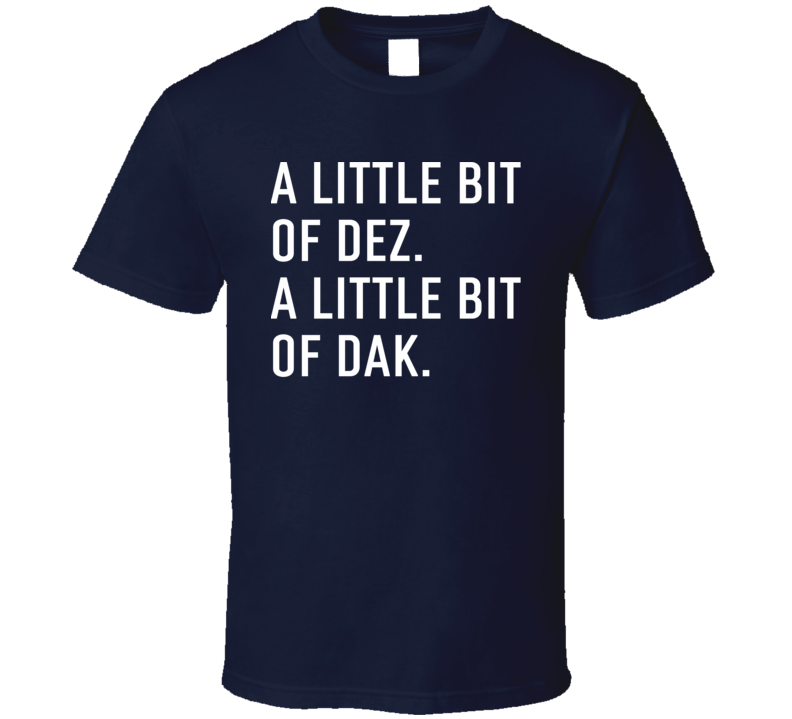 Dak Prescott Dez Bryant Dallas Football Players A Little Bit Of Dez And A Little Bit Of Dak T Shirt is available on a Navy 100% Cotton Tee.  The Dak Prescott Dez Bryant Dallas Football Players A Little Bit Of Dez And A Little Bit Of Dak T Shirt is available in all sizes. Please select your desired shirt style and size from the drop down above.